Please add the number of campers you would like to register for each camp below. You will then be taken through a checkout process in which you can choose to pay by credit card or Paypal. VENMO Payment is available at SCBUZZARD. If you choose to Venmo your payment, please register, but do not pay at the end. 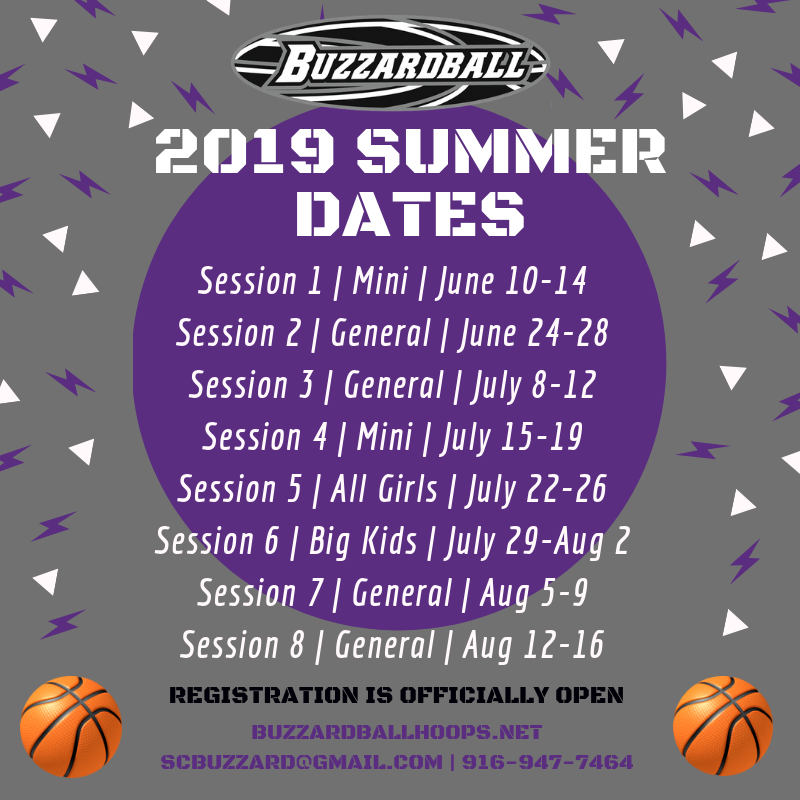 ** If you participated in the 2018 Winter League or any year of Buzzardball Summer Camp, this rate is a way of saying THANK YOU for your support. Applies to GENERAL sessions.